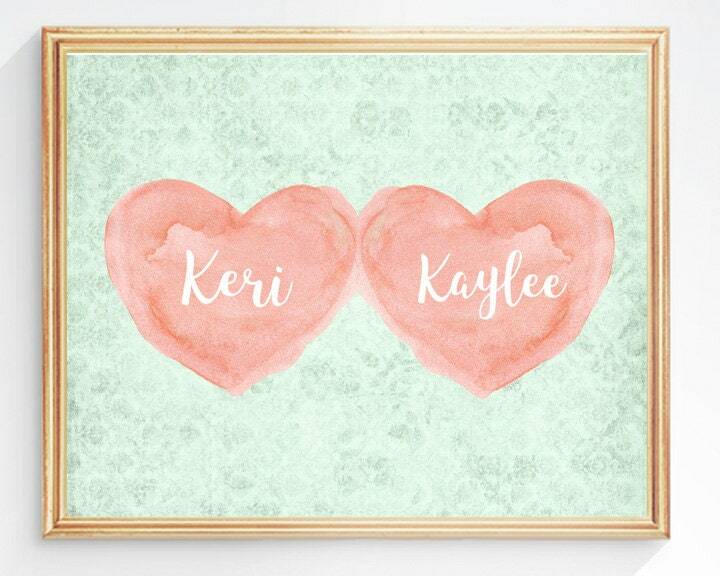 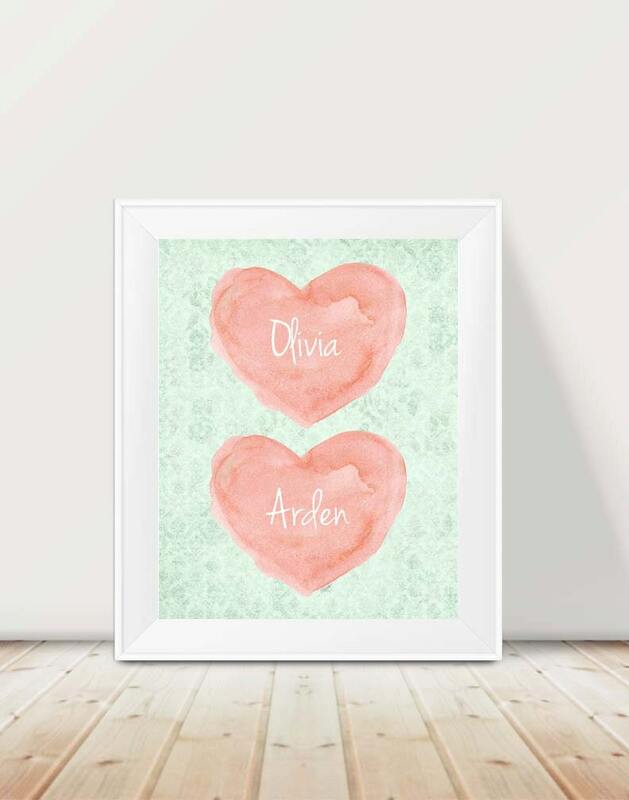 Personalize my double coral watercolor hearts just for your girls. Perfect for a coral and mint nursery or big girls room. 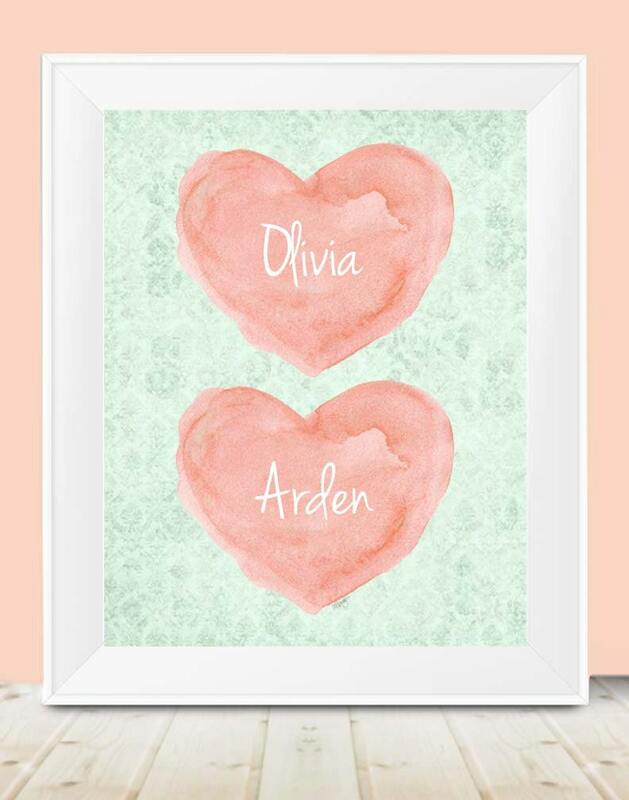 Created from my original watercolor heart paintings. 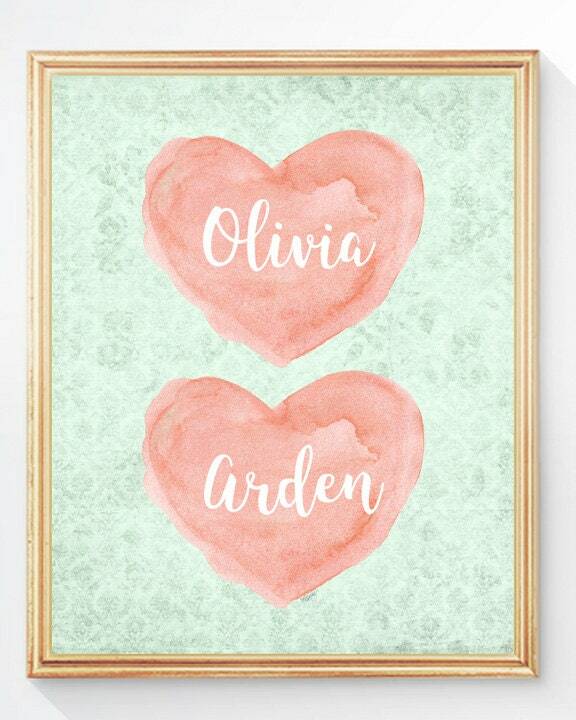 Just leave both your special names when you checkout. 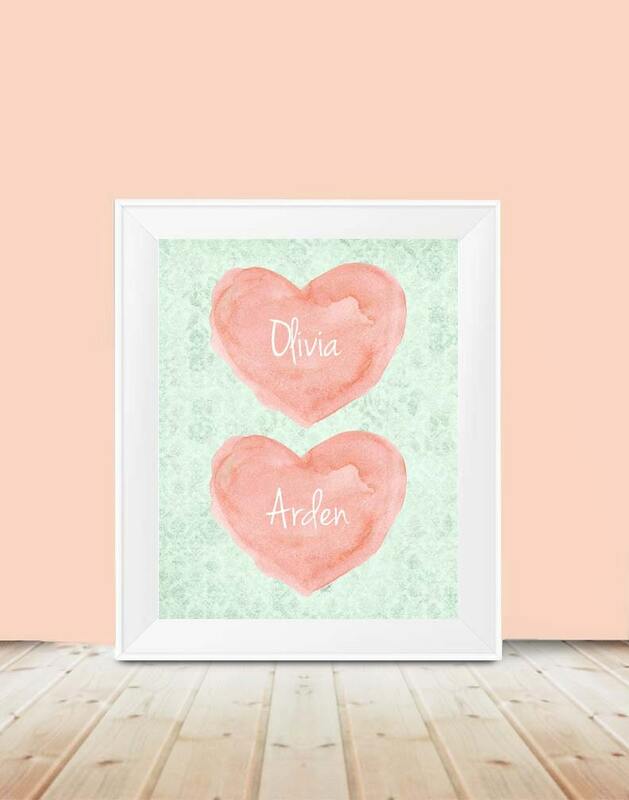 Fast shipping, great packaging and quality.